As the CETA debate continues, Jacques de Gerlache and Cédric du Monceau ask whether blocking the current deal is Europe’s last chance to avoid a fatal flight forward. Jacques de Gerlache is a scientist and advisor to the Belgian Federal Council for Sustainable Development; Cédric du Monceau is an economist, the former DG of WWF France and the deputy mayor of Louvain-la-Neuve. 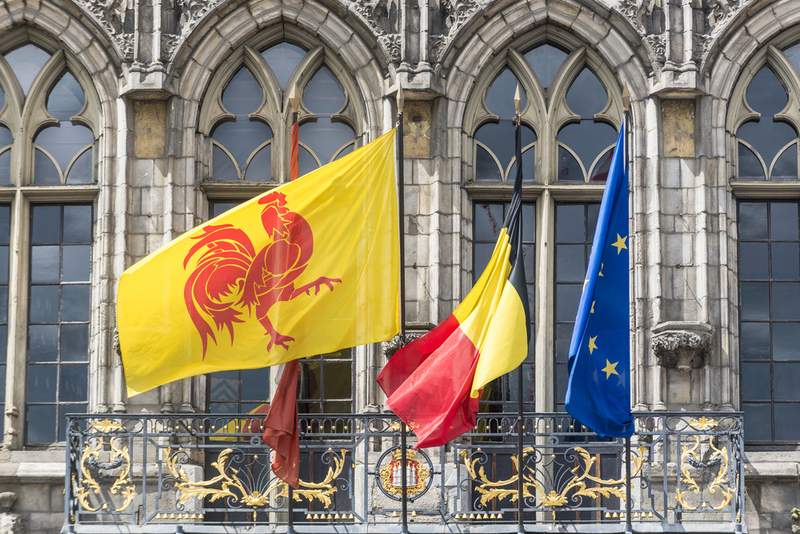 Belgium must decide whether to agree to the EU-Canada deal, but can do so only if the parliaments of federated entities Wallonia and Wallonia-Brussels agree to delegate their decision-making power about it to the federal government, which is not the case. The deadline laid by the European Commission was rejected by Walloon Minister-President Paul Magnette despite several attempts to make CETA acceptable; however, the legal value thereof, not negotiated within the treaty framework, remains highly dubious and may face inevitable disputes in its future application. Magnette also highlighted the “substantial difficulties” that remain, particularly in regard to the arbitration mechanism or the legal value of interpretative or related documents proposed by the Commission in implementing CETA. But there are still many other issues presented by this treaty! The problem is that a treaty like CETA, well beyond tariffs, explores issues in agriculture, education and social and environmental areas, all negotiated in the greatest darkness by technocrats who were not really qualified to take the lead. As pointed out by Pascal Lamy, former director of the WTO, they hire the society’s vision for future generations. Moreover, while everyone eventually agrees that continued growth in an inherently limited world is absurd, economic growth is presented as the only argument to justify this headlong rush, while several economic studies, both European and American, show that in reality such treaties will be reflected on both sides of the Atlantic by a decline of GDP and jobs. Along with the expectation of most Europeans for more democracy, more social justice and economic equity, do the technocrats and politicians of Europe not hear the millions of citizens who have voiced their opposition to these treaties? Did the Brexit vote or recent votes in some Eastern European countries not send a sufficiently clear message? Its citizens do not want a purely economic and financial Europe at the expense of its rich cultural diversity delivered to the commercial practices of unregulated globalisation and the legislative sovereignty of international arbitration courts. They wish instead for a Europe that states, through the expression of a real democratic freedom, the richness of its differences and values. If Europe continues signing agreements without any other objective than hypothetical economic benefits for private interests, many other European “–xits” may become reality. Where is the Europe of subsidiarity, so dear to former President of the Commission Jacques Delors? In this context, Wallonia’s “no” can be, if properly relayed, decisive and salutary; it would be the initiator of a deep renewal for this Europe which, unfortunately, has not finished disintegrating. Let’s face finally the tendentious claims by not letting (y)our “representatives” ratify an agreement which, in its current form, would jeopardise the sustainable future of Europe, and therefore ours. They were not elected to endorse blindly and uncritically what technocrats have negotiated: there are few political moments where a decision commits so much to our future. This opinion editorial was first published by Le Soir, in French. Cédric du Monceau, Jacques de Gerlache ….You are more than correct here. This is as we call “an unequal” agreement which favours the Canadians and allows the USA to get in by the back door. Msrs Cédric du Monceau and Jacques de Gerlache you may have properly understood the reactions of the people in the Nations like Malta and Italy and Greece and Slovenija and many Others etc., in the EU who detest such a one-sided agreement that allows big businesses with power deciding the fate of the Public’s Attitudes here. Wallonia will be the worse off for this at the behest of failures in this “agreement” to attend to the minutiae. will all be allowed in and there will be no protection to the EU Public. An Unequal Trade Agreement is not acceptable. We must all stand up against this. The EU and before then the EC and before then the European Iron and Steel Organisation was not raised to be the kow towing succours to Canada and the USA. This must not and must never happen. Wallonia stood up….Now we must all repeat that standing up for our rights. Canada must be a really screwed up country. BSE (I thought that was a British problem), Scrapie, E-colie, dumping all those Bombardier water bomber planes on your market. Hamilton, Ontario is just booming producing all that dumped steel. Not sure about the sheep. Canada imports most of it from Australia and New Zealand. I don’t think you need to worry about sheep. Have you considered moving to Virginia or the Ohio valley? You might fit in well. Only thing is that instead of ranting about Europe getting screwed, you rant about how the U.S. is getting screwed. You are the left-wing equivalent of Donald Trump. With CETA succeeding , Europe needs to be wary that Canadian good marketed to Europe are actually Canadian of origin . That in the event that TTIP fails , products are not from a US company based in Canada in order to reach Europe by the Back door . Both these treaties are bad news for Europe . I appreciate that the original six EU member states envisioned becoming a single federal state ; but the EU started as the EEC single free market that was a success . On the strength of the EEC success the EU decided to go a stage further , to become a political union towards an eventual single federal state . The politicising of the EU has destroyed the successful market and has put straines upon the unity of member states . European people want a Europe maintaining the diversity of culture , customs and economies , sharing the individuality of their country with other neighbouring states . The EU commission had grand aspirations of the EU as a world power , strong player in a global economy and world ; completely contrary to the people’s wishes . The EU commission has lost its authority over distributing migrants proportionately across member states and it will never again have full authority . CETA/TTIP could be the undoing of the EU when the people rebel and refuse to buy certain goods , leading to corporate litigation . In Britain we noted the dumping of inferior French foods with discount prices in our supermarkets , I recall white hens eggs , milk , tasteless golden delicious apples . Many British people , myself included , had a policy of not buying anything French ; the same could apply to Canadian or US products .